What is Social Prescribing for Health and Wellness ? 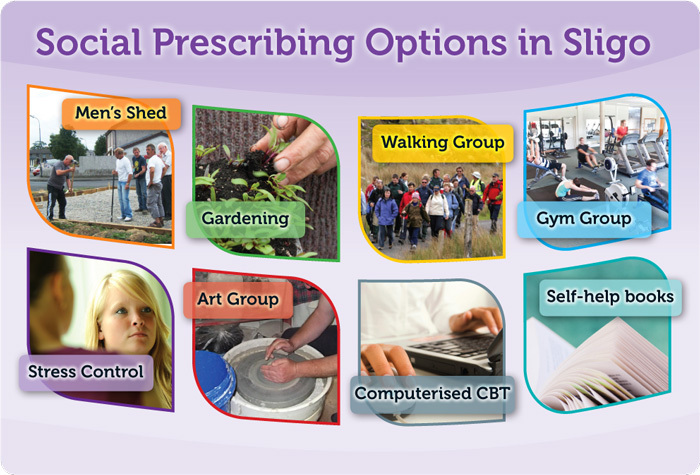 Social Prescribing for Health and Wellness is about supporting the health and wellbeing of people, by using community-based activities and supports, such as exercise, art, reading or gardening. There is also an opportunity to attend self-help sessions such as Stress Control. A member of the Social Prescribing team will talk to you about what activities interest you, the benefits of participating in them and will assist and support you in attending these activities. The programme is for anybody who may feel stressed, anxious or depressed, or for anyone who may feel that they need some support and help with minding their health and wellbeing. Using resources within the community will allow you to experience the benefits of meeting other people or participating in a new activity. After your GP refers you to the project, there is no cost attached to attending most of the activities. What are the benefits of participating in the Social Prescribing for Health and Wellness programme? 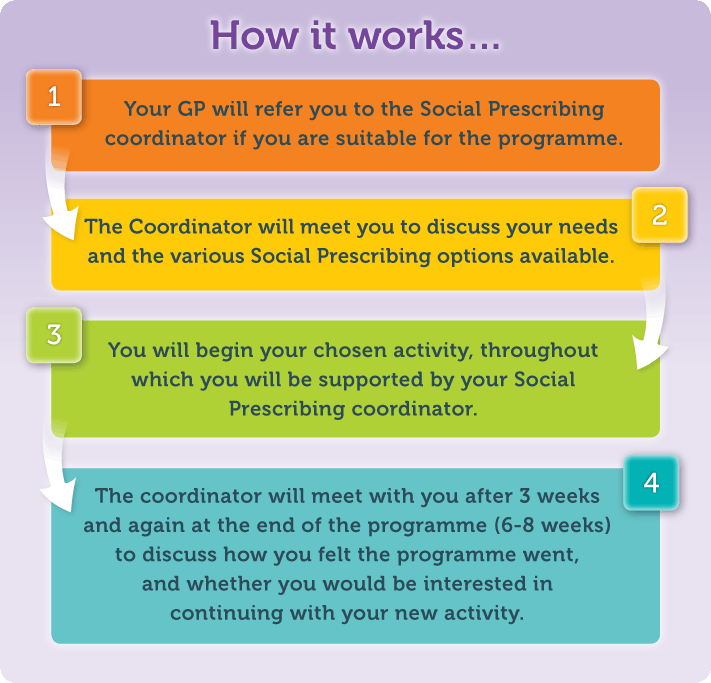 If you are interested in joining the Social Prescribing for Health and Wellness programme, talk to your GP , who will send a referral form to the Social Prescribing coordinator if you are suitable for the programme. The coordinator will then arrange an appointment with you.